On Sunday, December 3rd, at 7pm at the Emerson Center, The Bozeman Doc Series presents the Montana premiere of the award-winning new documentary, Faces Places. The screening will be preceded at 6:00pm by a reception featuring food and drink in the Emerson lobby and the fourth annual Bozeman Doc Series silent auction featuring items from sponsors such as The Saffron Table, The Lark, Bozeman Spirits, and many more. Together they travel around the villages of France in JR’s photo truck meeting locals, learning their stories and producing epic-size portraits of them. The photos are prominently displayed on houses, barns, storefronts and trains revealing the humanity in their subjects, and themselves. Faces Places documents these heart-warming encounters as well as the unlikely, tender friendship the filmmakers formed along the way. 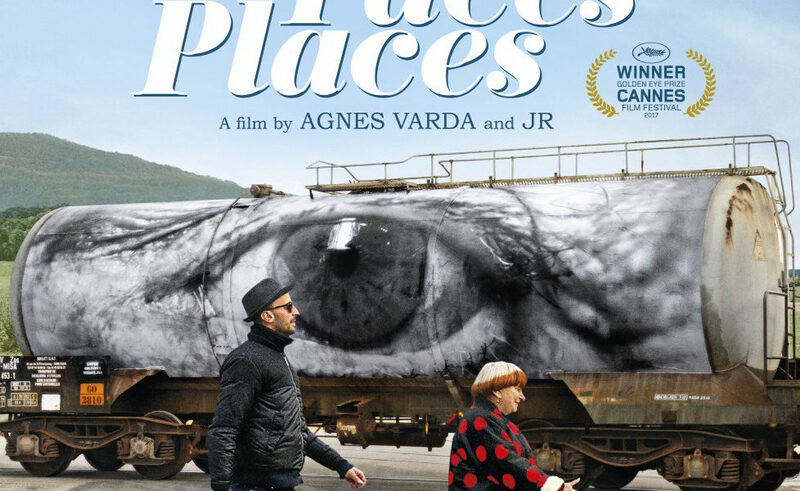 Since the film’s world premiere earlier this year at the Cannes Film Festival, where it was awarded the Golden Eye for the best documentary, Faces Places has screened at festivals around the world, receiving widespread critical acclaim. The silent auction will include: gift certificates to several of our sponsors, including The Lark, Treeline Coffee, and The Saffron Table, gift boxes from Bozeman Spirits, a massage from Reintegrative Massage, passes and schwag from the Bozeman Doc Series, a CSA share from Strike Farms, and more. This year, we once again have one of our most popular items: one night of skiing for up to 30 people under the lights at Bear Canyon Ski Area (hosted by Mount Ellis Academy) – perfect for a company retreat or simply a night out for you and your 29 closest friends. Tickets are available at the door or before the show at Cactus Records and Movie Lovers. Tickets are also available online at www.bozemandocseries.org, where you can also buy Season Passes and 7-film punch cards, learn more about the series, and view trailers for upcoming films. The series will continue every other Sunday through Christmas. Starting January 4th, the series will move to every other Thursday through April.